Overall, the S&P/Case-Shiller U.S. National Home Price Index recorded a 4.7% increase over the last 12 months. You can check more cities in the PDF, but the ones with the highest gains over the past 12 months are San Francisco at 10.4%, Denver at 10.3%, and Dallas at 8.7%. 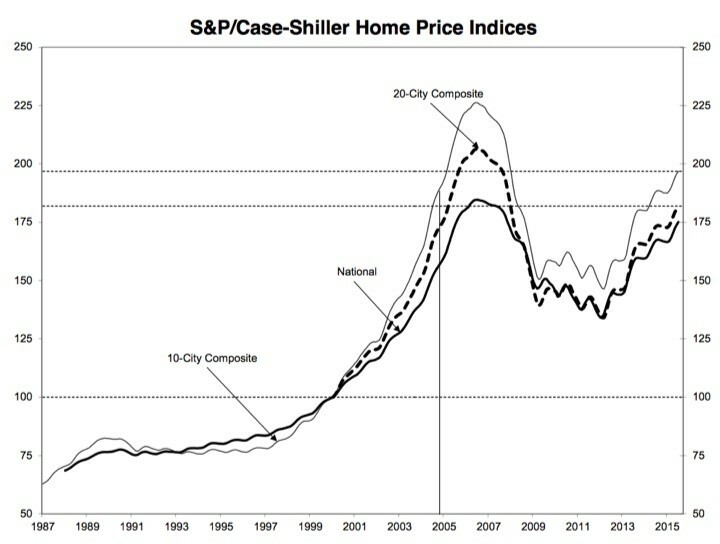 What do home prices look like after being adjusted for inflation? We all tend to think of house prices in terms of nominal values. For example, I bought my first house in 2007 (of course) and I’ll always remember my original purchase price. But that was 8 years ago and even though inflation hasn’t been high it has still been inching along. From June 2007 to June 2015, inflation rose 12% (CPI-U). 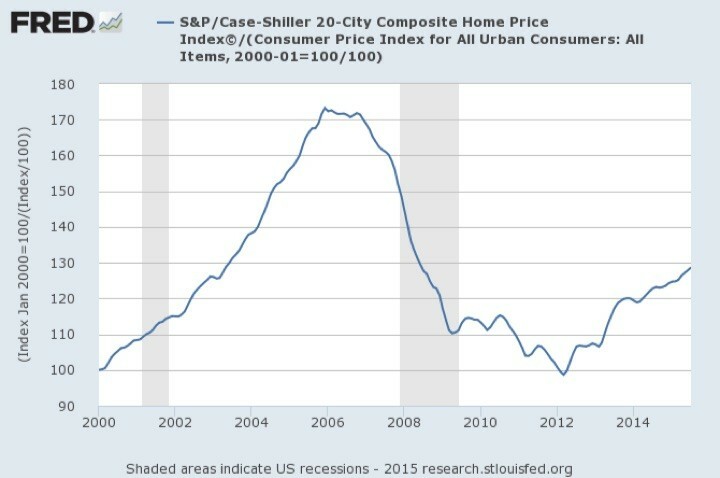 As shared in previous updates, here is the Shiller 20-City index adjusted for inflation (CPI-U). Both data sets are not seasonally-adjusted and scaled to 100 as of January 2000. Home prices are rising even after accounting for inflation, but this bottom chart presents a more tempered view of things. Still, I feel for first-time homebuyers faced again with housing prices that appear to march upwards every month (and potentially out of reach). Spend any time researching investments, you’ll eventually run across the concept of “risk tolerance”. If you don’t hold an investment through both the ups and downs, then you won’t enjoy its average returns, either. So how can you predict your behavior ahead of time? What the financial industry uses is a risk tolerance survey, or risk questionnaire. You are asked a series of multiple choice questions based on theoretical scenarios to find your risk tolerance. You or a hired professional can then use that information – along with other factors like risk required and risk capacity – to determine your portfolio. I’ve taken several of these online assessments, but can someone really know how they would react to a 50% drop in their net worth in an environment of mass panic, without actually experiencing it? It is the real-world behavior that matters. You can get a more accurate gauge of your appetite for risk by completing a risk tolerance questionnaire. Vanguard has a good asset allocation tool that’s free, while FinaMetrica offers a more comprehensive version for $40 (although given recent market turbulence FinaMetrica is offering the test and the nine-page report that comes with it for $4 until the end of September). Both tests recommend an investment portfolio based on your answers. Okay, four bucks, I can handle that. (The promo has been extended to October 31st, as well.) I paid, answered 25 multiple choice questions, and I was done in under 10 minutes. Of course, a few more minutes of poking around and I discovered the same test for free by clicking here. Pfft. What’s up with that? Questions. I took screenshots of the entire survey but I won’t post the specific questions here. They do share these sample questions, which I can confirm are actual questions from the paid test. 1. 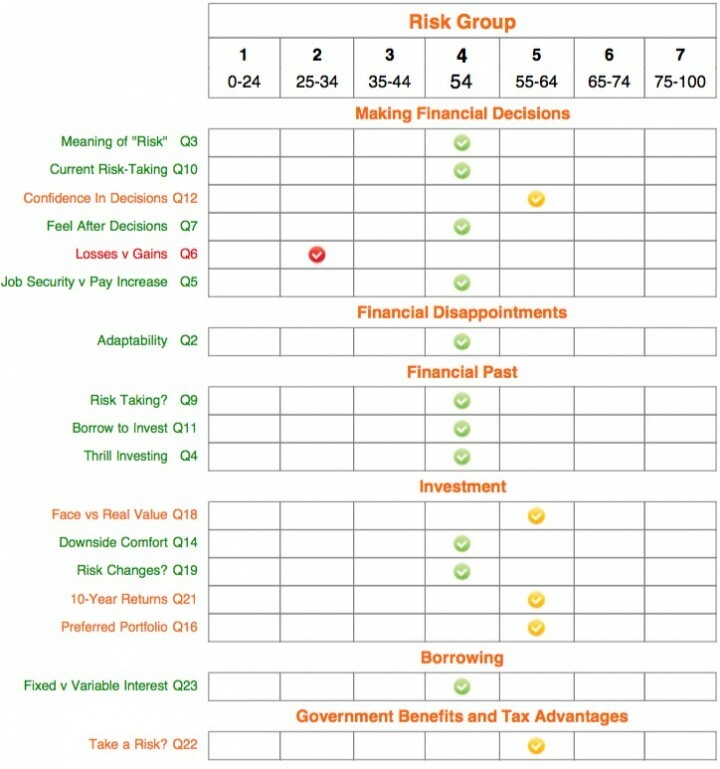 Compared to others, how do you rate your willingness to take financial risks? 2. How easily do you adapt when things go wrong financially? 3. When you think of the word “risk” in a financial context, which of the following words comes to mind first? The general idea is that the questions poke and prod you from various directions, trying to avoid having one misunderstood question alter your overall results. The questions were all brief and multiple choice, except for the last one which asked you to predict your own risk tolerance score relative to the overall population. 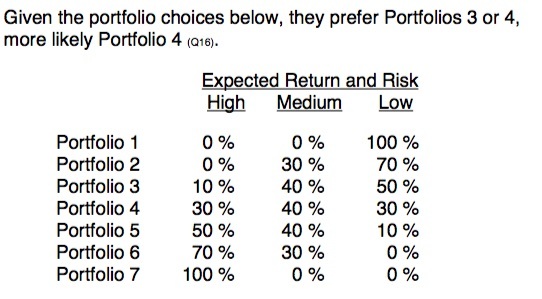 So my risk tolerance peers would pick Portfolio 4, but in reality I am between a Portfolio 5 and 6. Relatively good risk tolerance survey. I’ve already expressed my view that these surveys are only one limited piece of the puzzle. But as far as risk surveys go, this one did feel like it went more in-depth than others that I have tried. However, I would have enjoyed more interactivity and/or questions using charts and/or graphs. Don’t expect any specific portfolio recommendations. The CNN article promised a “recommended investment portfolio based on your answers”. I don’t think that is an accurate statement (see table above). I would say you just get a very high-level breakdown of what other people of a similar risk level “would prefer”. They don’t even use the words “stocks”, “bonds”, or “cash”. Taking specific courses and getting good grades. Participating in sports or other extracurricular activities like Yearbook club. Good standardized test scores on SAT, ACT, or AP exams. Other honors like National Honor Society, Eagle Scout or Golden Eagle award, or National Merit Scholar. Attending an event at a participating college. When a college awards you scholarship money on raise.me, they are guaranteeing that they will include that scholarship money in your financial aid package if you apply for admission and are admitted. […] Each college on Raise.me has their own minimum GPA requirement. Any US high school student in 9th through 12th grade is eligible, and you can enter your achievements retroactively. The money for the program is paid by charitable foundations including the Bill & Melinda Gates Foundation, colleges, and other funders like Facebook. So far there are 76 participating colleges including Penn State, Loyola Marymount, Lewis & Clark, Michigan State, Temple, and University of Central Florida. This is ideal for smaller, lesser-known colleges to link up with good students that would never have considered them otherwise. The Harvards and Stanfords of the world don’t need this service. By linking up small, achievable goals with measurable rewards, you can motivate high school students to work harder. I applied for a few college scholarships back in the day, but I hated that it felt like you were writing a long essay in exchange for a lottery ticket. This approach, if scaled successfully, might allow merit-based aid to be distributed more evenly. Doesn’t is seem like the “gamification” of college scholarships? Like power-ups in video games, students can increase their scholarship “scores” gradually. You don’t want to make the entire high school experience a checklist, but hopefully it will be a net positive. I’d worry that this approach could be gamed by the colleges as well due to their “sticker price” model where they post some astronomical tuition that nobody really pays. In reality, they alter what they charge you based on your desirability to them. I’ve written about this phenomenon here, here, and here. In other words, most admitted applicants already get $20,000 or more in “grants” anyway. If you have a child in high school, I don’t see why you wouldn’t encourage them to at least check this website out. Oregon has also recently passed their own free community college bill. Tennessee lawmakers recently approved a program that would cover tuition and fees at two-year colleges for any high school graduate. The “Tennessee Promise plan” is the first of its kind in the U.S., although reportedly Florida, Mississippi, and Oregon are considering similar plans. It will be interesting to see if it succeeds in making higher education more affordable. Participants will have to maintain a 2.0 grade point average, attend mandatory meetings, work with a mentor, and perform community service. The program is also “last money in” after other scholarships and grants. I hope that they will also make sure that any credits earned will transfer over to 4-year universities and that the courses are rigorous enough that the students don’t arrive at a significant disadvantage. If successful, this could essentially halve the cost of a in-state Bachelor’s degree, as most students will be able to live at home for the first 2 years as well. Free community college may also reduce the significant number of people who enroll at a 4-year university, rack up student loan debt, and don’t finish. According to this Slate article, 20% of those who enroll full-time at a 4-year program don’t finish within 6 years. Community colleges can also have low completion rates, but it is especially awful to have no degree and a big pile of debt. Also related: We know student loan debt is growing, but now delinquency rates are increasing as well. What are Virgin American Elevate points worth? To keep things simple, the overall best redemption option is for US flights on Virgin America. (There are other partner airlines available, but that gets more complicated.) Here is Virgin America’s US route map ], which includes New York City, Boston, Chicago, San Francisco, Los Angeles, Cancun, and soon Hawaii. Assuming you are interested in one of their routes, Elevate points are pretty easy to use. There are no blackout dates or capacity restrictions, so you can redeem points for any domestic Virgin America flight. The amounts of points for a reward flight is vary with the cash cost of the ticket (before taxes and fees). As long as you have an Elevate account, you can poke around and get an idea of the ratio. For the flights I looked at, it varied from 1.6 to 2.6 cents per Elevate point. Transfer ratio and value details. ThankYou points will transfer to Virgin America Elevate® points at a 2:1 ratio, with a 1,000 points minimum. In other words, the minimum transfer would be from 1,000 ThankYou points to 500 Virgin America Elevate points. At this standard redemption ratio of 2:1, that gives you a value of 0.8 to 1.3 cents per Citi ThankYou point using this transfer option. Limited-time 25% transfer bonus. If you make such a transfer by 10/21/15 (11:59 p.m. ET), you will get a 25% bonus on your Elevate points. During this promo, every 1,000 Thank You points = 625 Virgin America Elevate points. At this promotional redemption ratio of 2:1.25, that gives you a value of 1 to 1.6 cents per Citi ThankYou point using this transfer option. Better to book through ThankYou Travel Center? The problem is that the transfer are only limited to the premium cards, which already have a pretty good redemption option via the Travel Center, which is a aggregation site like Expedia, Travelocity, and Orbitz that sells flights, hotel stays, car rentals, and cruises at similar prices. The Citi ThankYou Premier® Card offers 1 ThankYou point = 1.25 cents toward any travel booked through Citi ThankYou Travel Center. You also still get to earn elite qualifying miles on your redeemed flights. The Citi Prestige® Card offers 1 ThankYou point = 1.33 cents toward any travel booked through Citi ThankYou Travel Center. You still get to earn elite qualifying miles on your redeemed flights. In addition, you get 1.6 cents per points when redeemed towards American Airlines or US Airways flights. You also still get to earn elite qualifying miles on your redeemed flights. I am interested in this development because I am currently in my first year of owning the Citi Prestige card and have already earned a 50,000 Thank You point bonus and want to spend them. For me, the two best redemption options value-wise are now on specific Virgin America flights depending on the point/price ratio and all American Airlines flights where I can get close to 1.6 cents per point value. The added flight choices make it easier to find a redemption overall. By the time auditors and lawyers got access to Bullion Direct’s 14th-floor offices six weeks ago, there were only a handful of gold and silver coins in an office safe. A second vault it had recently rented held only slightly more. An estimated $30 million in cash, metal bullion and valuable coins, meanwhile, had vanished. Bullion Direct filed a declaration that stated that “when a customer placed an order, the precious metal was not actually purchased unless the customer agreed to take actual delivery of the product.” In other words, they never bought the metal customers purchased if it was to be stored. This story is not about whether or not to buy gold. The lesson is that if you buy physical gold from a dealer and they either never deliver it to you or they say they’ll store it for you but the vault is really empty and say “oops we’re bankrupt!”… there is no government insurance mechanism that guarantees your assets. They can say they have “layers of insurance” and “regular, independent audits”, but they could also be lying to your face. If you have your gold stored somewhere, do you know the actual name of the insurance company they are using, and have you verified with that company about what exactly that policy covers? From what I can tell, you could just replace “gold storage” with “pink teddy bear storage” to get an approximate idea of your level of protection. You can sue for your lost teddy bears, but if the company is broke and criminally stole your money, you may not get much if anything back even after liquidating any remaining assets. 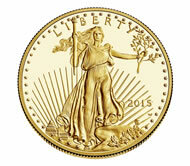 If I was to buy gold, so far my plan would be to buy 1 oz. American Eagle coins direct from a US Mint Authorized Purchaser, and then test them again myself with this Fisch gold coin tester. There is a premium over spot price for coins, but it would improve liquidity. Perhaps it is even worth paying the 3% markup for paying with credit card, especially if you can earn at least 2% in cash back or points, and then chalk up the net 1% markup as a form of purchase protection. Of course, storing it yourself has its own set of potential issues. I’ve written about American Express gift cards several times in the past, mostly when they had a promotion waiving both their purchase fees and shipping fees. In such cases, they were a cheap and efficient way to “time-shift” your purchases if you needed to meet a spending threshold soon to obtain a sign-up bonus, or if you needed some miles sooner for a reward. The lawsuit claimed that American Express did not fully disclose all gift card contract terms, and misrepresented the value of the cards. The gift cards were subject to various fees, such as monthly fees and check issuance fees, resulting from trying to make transactions using multiple forms of payment. American Express denies that it did anything wrong, and the Court did not decide which side was right. The dates for this settlement have been in flux, but the current deadline for claim submission is November 16, 2015. You can also exclude yourself from the settlement by this date. There is a scheduled court hearing on January 22, 2016 to consider final approval of the settlement. You are a Class Member if you purchased, received, held or used a gift card issued by American Express from January 1, 2002 through September 21, 2011. Any gift card with an American Express logo counts. If you bought a card and gave it to someone else as a gift, you cannot get a payment for that card. The gift receiver should make a claim. Depending your specific claim details, if you have a record of your gift card number the settlement offers from $5 to $20 per gift card ($40 per Class Member max, total) from a total fund of about $6.75 million. If you don’t have a record of your gift cards and American Express can’t find your records based on your personal information, your max total is $5. You can also request to buy a $100 AmEx Gift Card without paying the purchase fee or the shipping/handling fee. Each Class Member who unsuccessfully tried a split-tender transaction can get up to $20. Those who incurred monthly fees can get up to $8. Those who paid a check issuance fee can get up to $5. A Class Member can claim one or all of these amounts, but no Class Member may get more than $20 per gift card or $40 total. Class Members who held an American Express Card and unsuccessfully tried a split-tender transaction and as a result incurred either a monthly fee or a check issuance fee, and who do not know their American Express gift card number, can get a total of $5. If these claims total more than $1,000,000, the $5 payments will be reduced. Anyone, even if not a Class Member, can cash out any AmEx gift card with a balance of $25 or less. Fill out a claim form, provide your e-mail, and if the settlement is approved they will send you claim instructions. They will refund your unused balance at no cost. Useful if you don’t want to use the Amazon gift card trick (or have less than 50 cents on it). If you’re the type of person that keeps detailed records or all your old cards in a drawer, you may be eligible for the max $40 benefit per Class Member. Otherwise, anyone can ask to cash out their small balances. You must fill out one claim form for each gift card and submit it no later than midnight November 16, 2015. I’ve been investing in tax-exempt municipal bonds for a few years now. I made the change due to a combination of reasons. For one thing, I started running out of room in my tax-deferred accounts for US Treasury bonds, TIPS bonds, and REITs. Second, I believe that buying muni bonds through a Vanguard actively-managed mutual fund gives me a diversified mix of high-quality bonds. 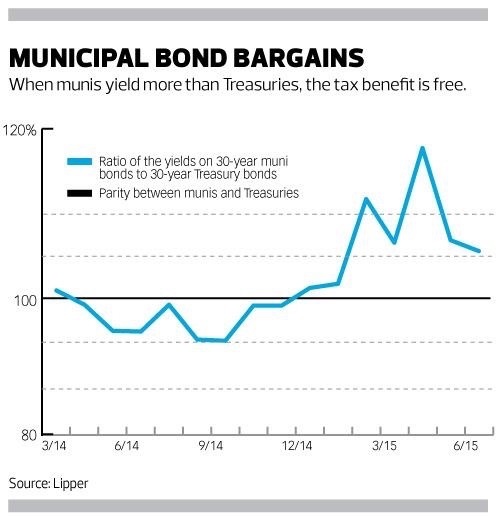 Third, the effective after-tax yields on muni bonds can be very attractive when compared to US Treasury bond yields. 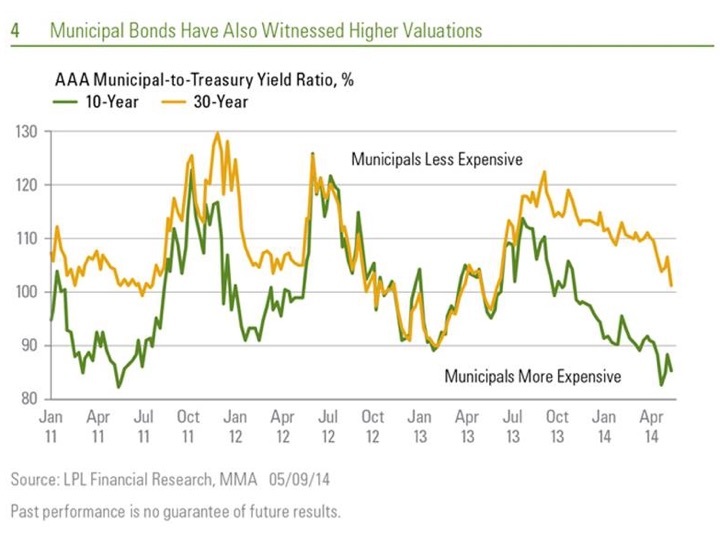 In many time periods, muni yields have been as high as Treasury yields, even before any tax considerations. This was very rare pre-2008 financial crisis, with the historical average being a 80% ratio. Here are a few charts that track the relationship between the yields on US Treasury and Investment-grade municipal bonds. Notice that the ratio of Muni-to-Treasury has kept close to 100% in the last few years. I’ve tried to dig up enough to cover a continuous timeline, but let me know if you have a better graph. Although it can be tempting to use these charts as timing tools, I try to focus on the overall picture. 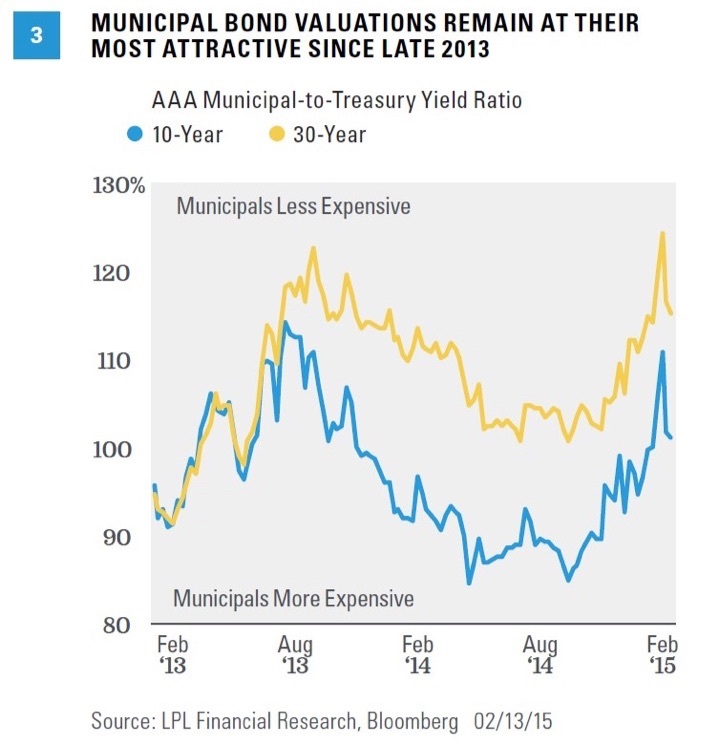 Due to the tax-exempt advantage, I am happy as long as the muni rates are roughly the same as Treasury rates. As of September 9, 2015, the SEC yield of Vanguard Intermediate-Term Tax-Exempt Investors Shares (VWITX) was 1.78% while the SEC yield of Vanguard Intermediate-Term Treasury Investor Shares (VFITX) was 1.43%. Both are hardly exciting and the muni fund is considered a little more risky (how much riskier is quite difficult to quantify), but for my own portfolio I think the higher yield is worth it especially considering the muni interest is exempt from federal income taxes. Muni bonds are a somewhat different from other asset classes because they are owned mostly by individuals as opposed to institutions. Based on Morningstar investor returns, us individuals haven’t shown any superior skill at market timing their buys. However, the performance gap is similar to that of the Vanguard Treasury fund of similar duration. So perhaps that gap is just due to the effect of natural cashflow timing (i.e. regular investments over time) rather than failed attempts at chasing performance. Do Financial Advisors Really Keep Portfolios and Clients Disciplined? I written about Dimensional Fund Advisors (DFA), a mutual fund family that is powered by top academic research. Another things that makes DFA unique is that they are only sold through approved financial advisors. You can’t buy them with just any old brokerage account. (Exceptions are certain 401(k)-style retirement plans and 529 college savings plans.) Allan Roth has new article about DFA funds in Financial Planning magazine, which is a trade publication targeted to financial professionals. DFA has no intention of bypassing the advisor channel and offering its funds directly to retail investors. “We think advisors help keep investors disciplined,” Butler says. In my previous post The True Value of a Real, Human Financial Advisor, I wrote about this concept. A good client advisor will help you keep your cool when the next disaster comes. Vanguard says that the biggest “value add” from good advisors is their “behavioral coaching”. 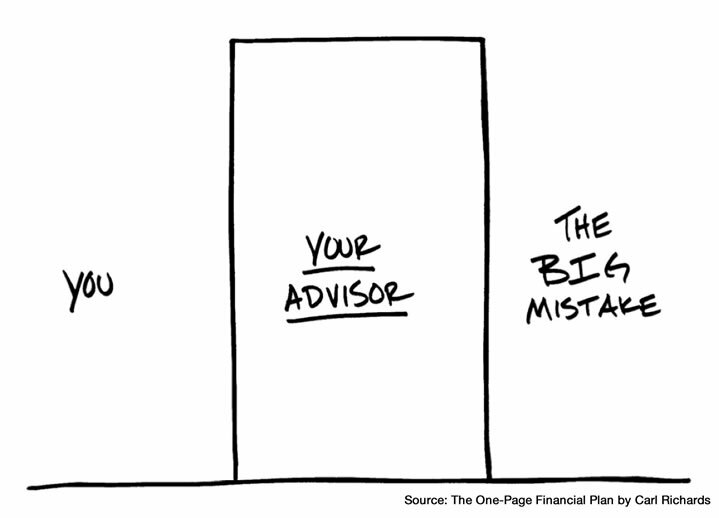 A good financial advisor keeps you from making the “Big Mistake” that derails your plans. But later in the same Allan Roth article, the idea of advisors as disciplinarians is called into question. But do investors get better returns? I tested Butler’s claim that DFA advisors help keep investors disciplined by asking Morningstar to compare the performance gap between the two fund families. The performance gap is the difference between investor returns (dollar weighted) and fund returns (geometric). Here’s a primer on investor returns vs. fund returns. Investor returns are the actual returns earned by investors, based on the timing of their buying and selling activities. The next step was to compare the investor returns of DFA’s largest fund, DFA Emerging Markets Value I Fund (DFEVX) with $14B in assets with the closest Vanguard competitor, Vanguard Emerging Markets Index Fund (VEMAX) with $54B in assets. I personally think a better comparison would be with their DFA Emerging Markets Core Equity I Fund (DFCEX), so I’m throwing that in as well. DFA fund returns are often higher relative to index fund competitors. Here’s a Morningstar chart comparing the growth of $10,000 invested 10 years ago in each of the three funds. You can see the DFA funds do slightly better in terms of fund returns. Click to enlarge. But what about investor returns? I took some screenshots of their respective Morningstar Investor Return pages. We see that after accounting for the timing of actual cashflows, the average investor in the DFA fund actually lost money with an annualized return of -1.01% and -2.04%! 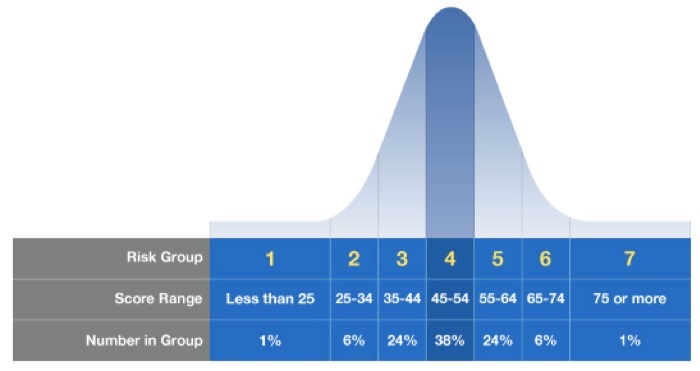 Meanwhile, the average Vanguard investor earned over 6% annualized. The three mutual funds don’t have the exact same investment objective, but they do both all pull from the overall Emerging Markets asset class. The DFA funds try to focus ways to earn greater long-term return by holding stocks with a higher “value” factor, but it also has a higher expense ratio. The Vanguard fund just tries to “buy the haystack” and passively track the entire index. Let’s recap. The stated reason why DFA is only sold through advisors is that they offer more discipline. We are told that such behavioral coaching is where human advisors provide their greatest value. However, the evidence available suggests that DFA advisors are less good at trading discipline than when a similar fund is completely open to retail investors. I found this rather surprising. I used to think that restricting my potential advisors to those were affiliated with DFA was one way of getting an “above-average” advisor. But after doing my own research, I found that even though DFA investments are generally lower-cost, the additional fees charged by individual advisors ranged widely from reasonable to quite expensive. I am confident there are financial advisors that can provide the proper behavioral coaching that makes them well worth the cost. At the same time, clearly many are not providing the advertised guidance and discipline. The problem remains – how does Average Joe investor find the good ones? I still know of no clear-cut way. 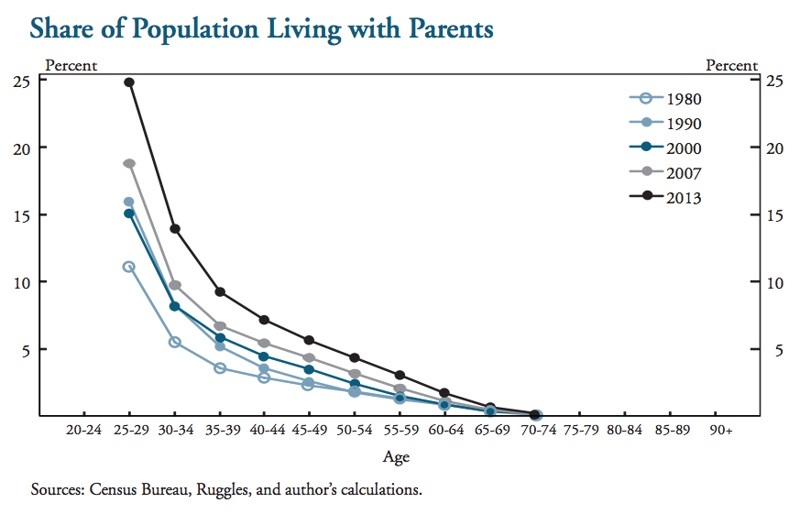 The trend is clear that as time goes on, more and more people are living with their parents. At what point does it start being called living with your children? For the purposes of this chart, is child living with a parent (suggesting parent is head-of-household) different from a parent living with a child (suggesting that child is head-of-household)? I think so. Otherwise, you’d think there would be a bump at ages past 65. As Baby Boomers begin to retire and downsize, they will drive the construction of new multifamily housing. What that means, we don’t fully know yet. This new construction might not look much like the condos and apartments that developers are building today in order to chase young-adult households. It also might not look like the downsizing options preferred by seniors in the past. In places where land is quite expensive like California and Hawaii, “in-law” or “ohana” units are quite popular. The official term is “accessory dwelling unit”, or ADU, where separate living quarters are created on what was previously a singly-family home. This could either be a detached studio or the converted wing of the original house with a kitchenette to add privacy and separation. Your parents could live there, or your adult kid could live there, often both. Often, these are only legal if you have a direct relative living in them. However, new legislation has been introduced in many areas to make these legal rental units. In San Francisco, you can now apply to legalize your un-permited unit. In Honolulu, a bill to legalize ADUs of up to 800 square feet was just signed into law. Basically you can now add a little, legal rental on the side of your house. I think these shared-but-separate living situations will start popping up more and more in the rest of the United States. Many new home designs now include such units from the very beginning. It is a way of creating more affordable housing for renters and additional income for homeowners. Discover Apple Pay 10% CashBack Bonus – Up to $2,000 Value! Works with Double Cashback promotion! 10% of $10,000 of purchases is $1,000. But it gets even better for those already people signed up for Double Cashback in 2015, because Discover has confirmed multiple times via their official Twitter channel that it will double this as well! That makes it up to $2,000 in total extra bonuses, on top of the normal cash back of 5% in rotating categories and 1% on everything else (which will also be doubled at the end of the year). If you want to triple-confirm, click here and start a chat session direct with Discover. Double First Year Cash Back: After the first 12 consecutive billing periods that your new account is open, we will double all the cash back rewards you’ve earned and apply them to your account in the next billing cycle. You’ve earned rewards when they have posted to your account by the end of the 12th consecutive billing period. You will not receive Double Cash Back if your account is closed or no longer in the cash back reward program as of the award date. This promotional offer may not be offered in the future. This exclusive offer is available only to new cardmembers. Here are all the physical stores where Apple Pay is accepted. It’s too long to copy-and-paste here, but notable ones include Apple Stores (how about 20% off Apple products? ), Babies R Us and Toys R US (stack with their own coupons), BJ’s Warehouse, Chevron (20% off gas! ), Sports Authority, Staples, Walgreens, and Whole Foods. The quick and direct method on this would be to purchase gift cards in-store, as this will allow you to time-shift your purchases if you didn’t plan on spending $10,000 at those merchants otherwise. According to the official Discover Twitter account, the 10% bonus will post within two statement cycles. Apple Pay works in physical stores with iPhone 6, iPhone 6 Plus and Apple Watch, as well as iPhone 6s and iPhone 6s Plus when they come out. You will need to upgrade to iOS 9 (will be released 9/16) and add your Discover card to the Wallet app. This promotion is so potentially valuable, people without iPhones are trying to figure out if it is worth to buy one just to get in on this promotion. You could also use it as an excuse to upgrade your older iPhone. 🙂 I have read reports that Apple Pay does not require cellular service to work if you have WiFi available, but I haven’t yet done the research myself.